TaroWorks comes with two custom profiles. One has the minimum permissions required to work with TaroWorks in Salesforce or the back-end. This is the TaroWorks User profile. 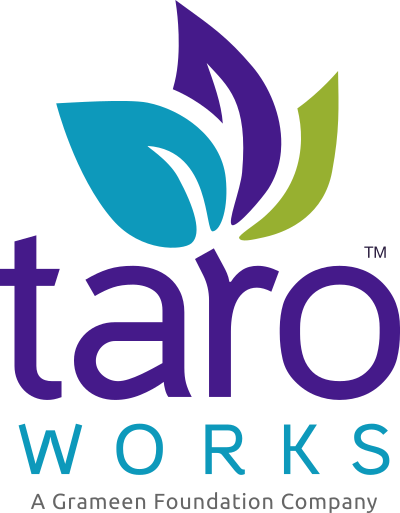 The other is to work with TaroWorks via your mobile device with the TaroWorks Android app. This is the TaroWorks Partner User profile. Users that are assigned the TaroWorks User profile are able to create Jobs and Surveys, set Performance Targets, conduct Reporting, and manage Mobile Users in the Salesforce back-end, but do not have full access to everything as a System Administrator would. These profiles will come pre-configured with the permissions listed, so there is no action necessary on your part if you are assigning users to these profiles. Should you want to clone these into custom profiles, the information below is meant for reference. The below permissions are for TaroWorks version 4.4.X. If you are on a previous version, you can skip any fields, objects, apex classes, or Visualforce pages that you are not available in the Profile. A. Field Level Permissions - Once a user has at least read access to an object, they need to be granted visibility to fields on that object. B. Administrative Permissions - These need to be set to allow the user to do things such as manage users and access public reports. C. Object Permissions - There are many objects that are unique to TaroWorks that TaroWorks Users will need access to, in order to work with TaroWorks in Salesforce. D. Apex Class Access - There are some functions unique to TaroWorks that the TaroWorks User will also require access to. E. Visualforce Page Access - There are some custom pages that TaroWorks Users will need to access. F. Permissions by Release - For those of you that are managing access to TaroWorks with permission sets, here are the new additional permissions by release. Under Setup > Administer > Manage Users > Profiles > TaroWorks User Profile, the minimal field level security settings are as follows. Note: If you add any custom fields that you want the TaroWorks User profile to have access to, you'll need to give visibility to those fields as well. All of the fields for all of the objects in the green box under Custom Field-Level Security will need to be set to visible with two exceptions which are pictured below(Device and Mobile User). If you ever want to reference what the minimum access requirements are for a back-end TaroWorks User profile you can revisit this article. For more information you can watch the security webinar we had with our customers.